There is no need to stay indoors when you could be outside enjoying this winter wonderland in Rexburg! 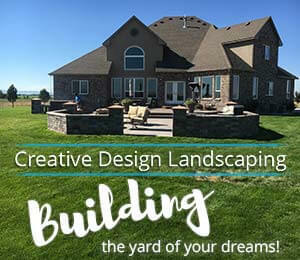 There is way more to do during these cold, winter months than you’d expect! Here are just a few ideas for winter activities that will help you enjoy the beautiful outdoors and appreciate this season. 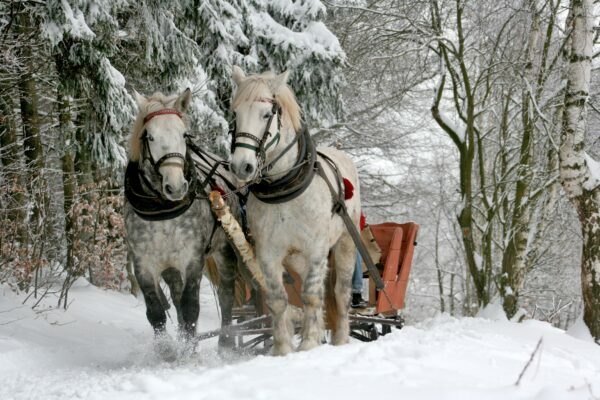 Sleigh rides are guaranteed to bring you through a world of snow and gorgeous, winter scenery. They are the perfect way to spend time with that special someone, or even family and friends. Below are some sleigh ride adventures that you can take advantage of! You are also able to make reservations for sleigh rides, for you early planners! The horse drawn sleigh in Mountain River Ranch will take you through the town of lights and snowy roads! They even offer a wonderful dinner, which includes the choices of pork loin or prime rib! 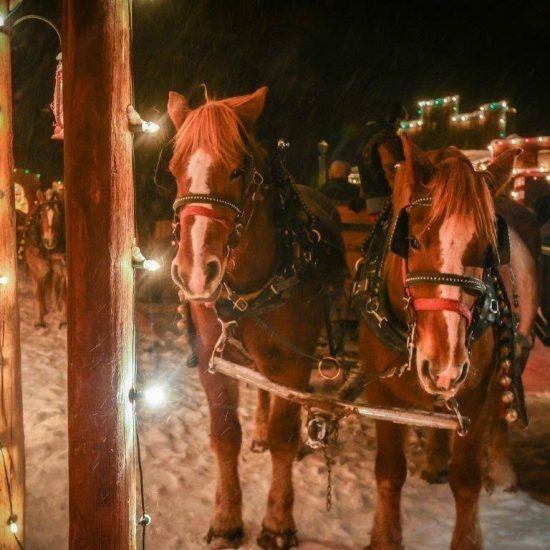 In the Sun Valley hills, this sleigh ride will definitely provide the most beautiful winter wonderland you will see. It may be a little ways away from Rexburg, but it is the perfect get away for the weekend with friends and family. If you want a nice weekend trip, travel to Victor, Idaho for another enjoyable sleigh ride in Linn Canyon Ranch! They offer a warm cup of hot chocolate or apple cider before the ride begins. Be sure to enjoy the scenery as the horse drawn sleigh journeys through a winter wonderland! One of the most popular winter activities is to go ice skating. It is the perfect outdoor winter activity that you can have fun doing with anyone! Bring a group of friends and have a great time gliding all over the ice. These locations for ice skating are close to home and have affordable prices! If you are looking for an outdoor ice arena, Squealers Outdoor Ice Arena is the perfect place to go. It’s only 13 miles outside of Rexburg! This year, they open on December 22, 2017. What a great activity to participate in during the Christmas season! Joe Marmo / Wayne Lehto Ice Arena is an enjoyable indoor ice skating rink located in Idaho Falls. Their staff skates on the ice with you to ensure a safe skating experience. Be sure to check their public skating hours. They are subject to change. What is more perfect than going out to enjoy a nice cup of warm hot chocolate and some seasonal treats? 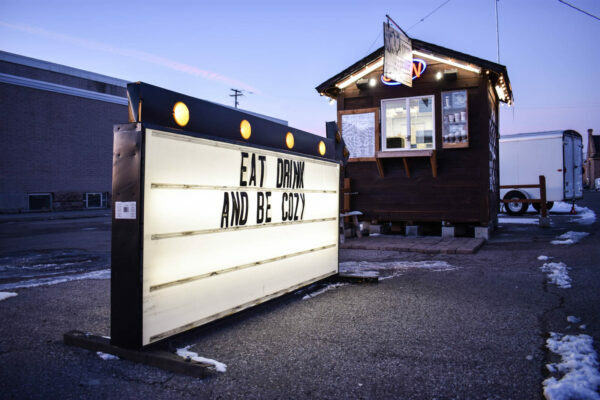 Here are places in Rexburg that you can go to enjoy a perfect winter snack. The Cocoa Lodge is a cute, little hot chocolate stand on Main Street next to Taco Bell. They have various flavors of hot chocolate and even provide hot apple cider. Bundle up and be cozy, enjoying your warm drink with a group of friends! If you want a place to go for a variety of sweet treats and drinks, go to the The Cocoa Bean! This little shop gives off the perfect winter feel and offers many flavors of hot chocolate. The Cocoa Bean environment is welcoming and relaxing, especially for this season! You would think it may be a little cold for outdoor swimming, but these hot springs provide the way to do so! Imagine relaxing in a warm pool, enjoying the beautiful winter scenery! 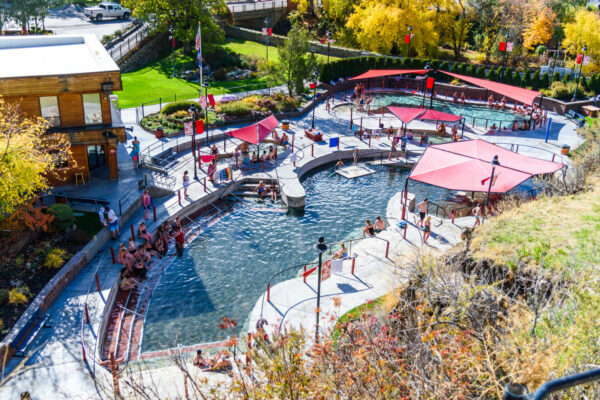 Lava Hot Springs is one of the most popular hot springs in eastern Idaho. It is a perfect place to take a weekend trip with a group of friends! Be sure to keep your eyes open and enjoy the springs next to the snow covered trees and mountains! 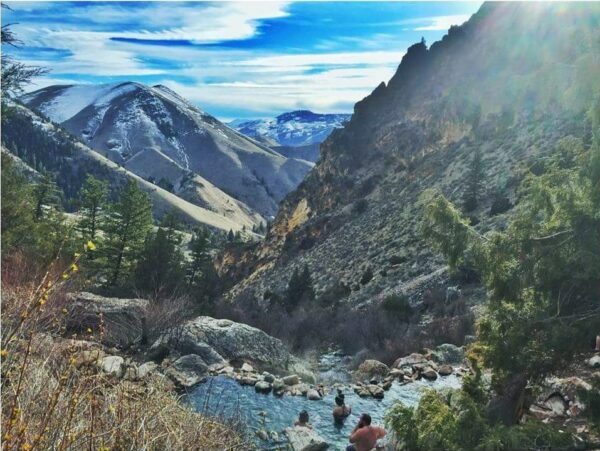 You will not be disappointed with the view that Goldbug Hot Springs has to offer. The springs are surrounded by magnificent mountains that will take your breath away. Enjoying a dip in the springs makes the experience all the better! Take advantage of Rexburg’s winter wonderland. There are many things to do and many places to travel to in order to enjoy these cold months. Winter doesn’t last forever, so don’t miss out on these great activities you can do with close friends and family. Sledding is a good activity. The sand dunes are fun and for smaller children Smith Park has a nice little hill. You didn’t mention either of the hot springs that are closest to Rexburg. Heise and Green Canyon are both fun places to go and I believe that they’re open all winter.